John Perkins, Sr. was baptized on December 23, 1583 in Hillmorton, Warwickshire, England. He married Judith Gater. They sailed from England in the ship Lion in 1631. John and Judith Perkins and were admitted to the Boston church as members #107 and #108 in 1631. He was made freeman in Ipsiwch.on May 18 1631. 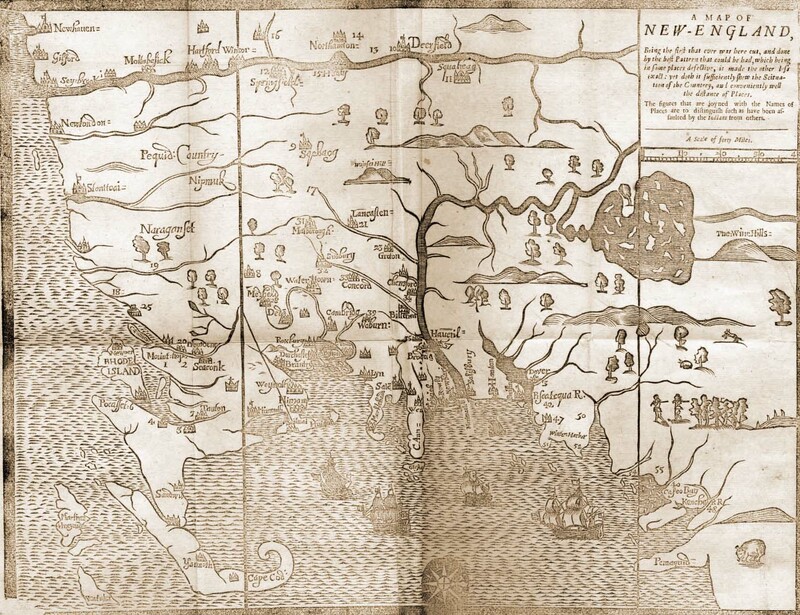 In 1639 he laid out land for Henry Batcheller. Abraham [Perkins] (John, John) was born in Ipswich in 1640. He married Oct. 16, 1661, Hannah, daughter of William and Hannah Beamsley, of Boston. She was born in December, 1643. . .
Abraham. b. Aug. 15, 1665. Deacon Thomas Perkins8, the second son and second child of John, sen., and Judith Perkins, was born in England (probably in the town of Newent, in Gloucestershire) in 1616, and, with his parents and their entire family of four children beside himself, came to Boston in 1631. The family removed from Boston to Ipswich in 1633. He resided there only a few years, during which time he had received a grant of land in Ipswich from the colony; this he shortly alter sold to his brother John and others, and removed to "New Meadows" or what is now the town of Topsfield, where he engaged in farming. He married Phebe Gould about 1640. She was the oldest child of Zaccheus and Phebe Gould of Topsfield. She, like her husband, was born in England; her baptism is recorded at Hemel Hempstead, Sept. 27, 1620, and it is probable that her birth was only a few days before this date, as it was the custom of that time to baptize children within a week or two of the time of their birth. At the time of the marriage of Thomas Perkins with Phebe Gould, her father gave them, by "deed of gift," a farm of 150 acres of land in the central part of Topsfield upon which be probably resided until July 6, 1660, when he purchased a farm of Richard Swain containing 227 acres, "more or less," and upon this farm it is probable he spent the last days of his life. This farm was bounded on the west by the land of Zaccheus Gould, his father-in-law. Other bounds fix this farm as being mostly to the eastward of the road now leading from Topsfield to Wenham and upon Ipswich river; upon a road passing through this farm many of his descendants have resided and do so to this day; old bricks are ploughed up upon the spot where his house is believed to have stood. Thomas Perkins was a farmer during the whole of his life; he certainly had the respect and esteem of his fellow citizens who elected him to fill many honorable positions in the church and town. He was chosen to be one of the selectmen of the town in 1656 and was also one of the "tything men" in 1677. He was chosen Deacon of the Church in Topsfield about 1677 (the date of this choice is not exactly ascertained); after this he was known as "Deacon Thomas Perkins" upon the records of the town. He died in the year 1686. We give a copy of his will, which was found in the probate office of Suffolk County, where it was recorded by order of Sir Edmund Andros. 4 (17)John [Perkins], b. 1641; m. Deborah Browning Nov. 28, 1666; d. May 19, 1668. 5 (18) Phebe [Perkins], b. ab. 1644; m. Joseph Towne 1665; d. after 1680. 6 (19) Zaccheus [Perkins], b. about 1647; m. Rebecca about 1704; d. Dec, 1732. 7 (20) Martha [Perkins], b. about 1649; m. John Lamson Dec. 17, 1669; d. after 1728. 9 (22) Elisha [Perkins], b. about 1656; m. 1st, Catherine Towne [daughter of Jacob Towne] Feb. 23, 1680; 2nd, Wid. Elizabeth (Knight) Towne. 10 (23) Judith, b. 28 Jan., 1658; unmarried; d. before 1719. 11 (24) Thomas [Perkins], b. about 1659; m. Sarah Wallis Juue 1, 1683; d. 1719. 12 (25) Timothy [Perkins], b. June 6, 1661; m. 1st, Hannah; 2nd, Abigail; 3d, Ruth Dorman. Timothy (Thomas1, John1) was born in Topsfield, Mass., June 6, 1661. He married, first, Hannah , about 1688-9. She died about 1693. He married, second, Abigail , about 1694. She died about 1710-11. He married, third, Ruth Dorman about 1712. The dates of the several marriages of Timothy Perkins are very unreliable, as the early records are exceeding defective; we only base a conjecture upon the mention of the births of their children. In the last will of Ephraim Dorman of Topsfield, he mentions the fact that his daughter, Ruth, had married Timothy Perkins, and was then dead, leaving a daughter, Ruth, to whom he gives "Ten pounds if she live to the age of eighteen years." This will was signed in July, 1720. He died Dec. 18, 1751. He was a farmer and received a portion of the farm of his father, as will be seen from his will. 32 Timothy, bapt. July 6, 1690. 34 Jonathan [Perkins], bapt. Jan. 29, 1692-3; d. Jane 2, 1749. 35 Abigail, b. June 7, 1695. 36 Hannah, b. Jan. 21, 1697-8. 37 John [Perkins], b. June 2, 1700. 38 Ester, b. July 22, 1703. 39 Elisabeth, bapt. Jan. 7, 1709-10; d. Dec. 8, 1710. 40 Ruth, bapt. Aug. 29, 1714. The settlement of New Meadows was incorporated as the Town of Topsfield by authority of the General Court of the Massachusetts Bay Colony in 1650. The church "gathered" on November 4, 1663 with the Rev. Thomas Gilbert. The third Meeting House was built on the Common in 1703 with Rev. Joseph Capen as pastor. 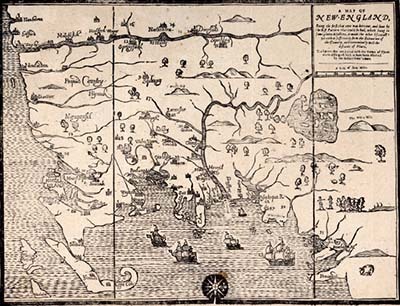 Thomas Perkins, son of Deacon Thomas Perkins, was born in Topsfield, about 1659. He and his brother Timothy inherited the farm, which they cultivated together until they separated in 1718. He was one of the jurors on the Salem witchcraft cases, and expressed his regrets with others who had been carried away by the delusion over his participation in the shedding of innocent blood. (See Upham's "Witchcraft"). He was a weaver by trade. 1. Sarah, born January 20, 1684-5; married William Makittrick, January 28, 1722-3. 2. Thomas, baptized December 9, 1688. 3. Hannah, baptized March 12, 1692: married David Balch. 4. Martha, born June 29, 1695. 5. Robert, born February 28, 1697; mentioned below. 6. Samuel, born November 22, 1699; married Margaret Towne. John [Perkins] (Elishia3, Thomas3, John1,) was born in Topsfield, Mass., August 12, 1685. He married Mary Easty, Sept. 10, 1713. She was the daughter of Isaac and Abigail (Kimball) Easty. He died June 22, 1750. John Perkins, house carpenter, and Joseph Perkins, husbandman, of Topsfield, sell one third part of the estate of their father, Elisha Perkins, late deceased, to their brother Jacob. 73 Elisha, b. Dec. 21, 1714. Lucy Tarbox. 75 John, b. Feb. 10, 1719-20. 77 Moses [Perkins], b. Dec. 17, 1732. Salem is in Essex County, Massachusetts and was a significant seaport in early America. John Endicott obtained a patent from England and arrived there in 1628. Salem originally included much of the North Shore, including Marblehead. Salem Village also included Peabody and parts of Beverly, Middleton, Topsfield, Wenham and Manchester-by-the-Sea. Robert Perkins, son of Robert Perkins, born Topsfield, January 16, 1727-28, died November 10, 1801. He was in the revolution, in Captain Stephen Perkins' company and answered the Lexington alarm, April 19, 1775. 1. Ruth, born October 1, 1753; married, 1744, John Gould, 3rd. 2. Hannah, born May 17, 1755, died November 16, 1802. 3. Lydia, born August 6, 1757, died February 27, 1830. 4. Robert, born May 29, 1760; mentioned below. 5. Asa, born June 15, 1762; married Hannah Johnson. 6. Mehitable, born November 14, 1767, died December 28, 1818.